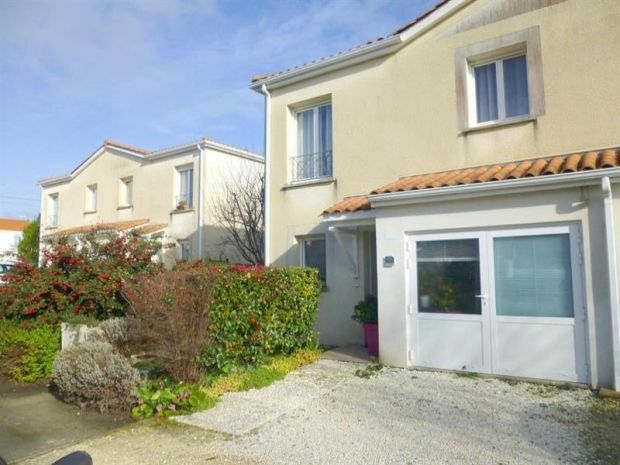 Semi-detached propertyof 80m² located around 3km from the beaches of Royan and 1000m from shops. South-west facing. Downstairs: Entrance hall. WC. living room with flat-screen TV and internet box, opening out to the garden and terrace. Kitchen with gas hob and oven, microwave, fridge-freezer, dishwasher and w.machine. Upstairs: Twin bedroom with beds of 90 with garden view. Two double bedrooms with beds of 140 and one with TV. Bathroom. Separate WC. Parking available for two cars in the lane in front of the house. The garden is fenced and north-east facing. The owner's private accommodation is adjoining the property (former garage). GARDEN FURNITURE - BBQ - INTERNET - SLEEPS 6. We invite you to find peace in this district Royan, close to Lake Métairie. You will be a few hundred meters from the urban animation, while keeping an almost "rustic" character. Lac de la Métairie is a natural area of wet meadows and groves, rich in marsh vegetation and remarkable bird life. Forming a green enclave in the heart of a densely urbanized area, it extends over part of the town of ROYAN and that of VAUX-SUR-MER (district of Pontaillac). This famous district of Pontaillac will make you discover its spirit and its chic neighborhood identity "apart", surrounding his Casino, the last of the line royannaise, two protective arms of his conch.